Numerical reasoning assessment is a strong predictor of critical thinking and the ability to think critically is an important requirement for many jobs. The Harrison Quantitative Critical Thinking Assessment (QCT) is designed to assess critical thinking and numerical reasoning. The resulting scores are job specific, making interpretation easy and accurate. It provides an excellent applicant experience and is proven to have strong correlations with job success. Our Quantitative Critical Thinking Assessment takes an average of 20 minutes to complete and provides the same high predictive accuracy as an array of IQ tests which typically take 1-2 hours to complete. IQ tests are often required for applicants who are not necessarily final candidates. This is destructive to the candidate experience, a waste of the candidate's time, and a waste of the employer's money. 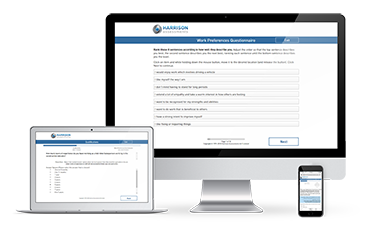 To make the assessment process even more candidate friendly, Harrison provides a unique option of staged psychometric testing in which only candidates who are fully Eligible and Suitable are requested to complete the QCT. Quantitative Critical Thinking Assessment uses technology to quickly find the applicant's ability level by making the questions either easier or harder depending on whether the applicant's answers to the previous set of questions were correct. Quantitative Critical Thinking Assessment is mobile-friendly and can be completed on a smart phone via the web. Questions are varied and technically scrambled to prevent cheating. It can be administered on a PC in a supervised setting or via a web link. 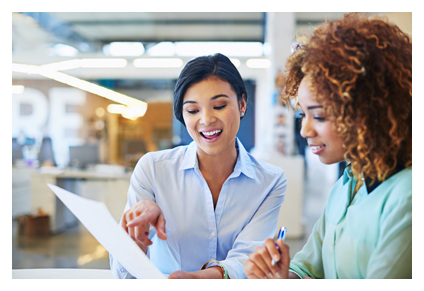 You can feel comfortable allowing the candidates to complete QCT online without supervision because the QCT system automatically generates a candidate-specific Verification Test. It can be completed under supervision in less than 5 minutes to confirm that the candidate is indeed the one who completed the QCT. 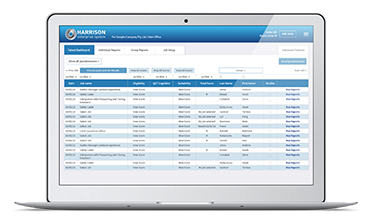 Quantitative Critical Thinking is fully integrated with the Harrison recruitment system so that it can be directly connected to other assessments, resumes, cover letters, customisable job descriptions, job campaign management, candidate tracking, automated decline emails, and other applicant tracking features including multiple administration accounts with varied levels of access.